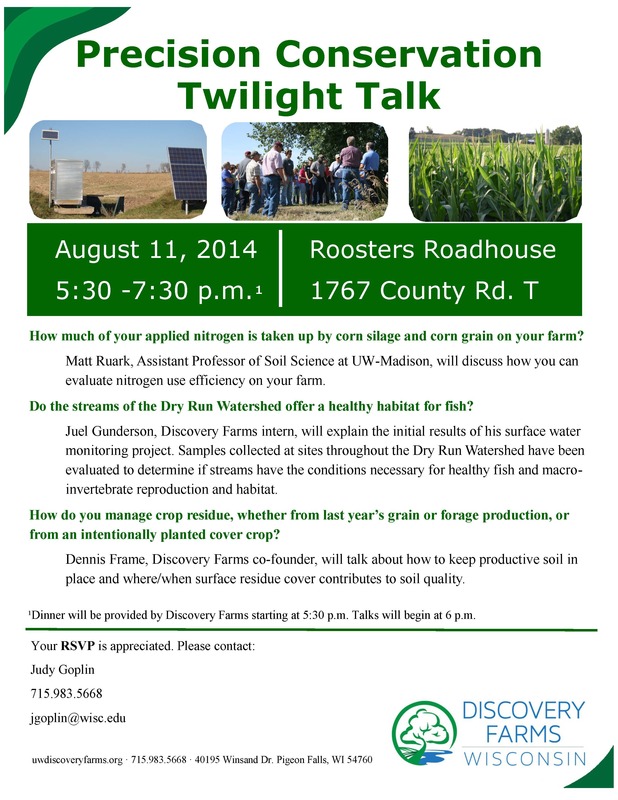 Two field days are being hosted by the UW Discovery Farms program. The first is on August 11, 2014 in New Richmond, WI. Dr. Ruark will be presenting on nitrogen fertilizer efficiency, with a specific emphasis on nitrogen uptake in corn grain and corn silage. 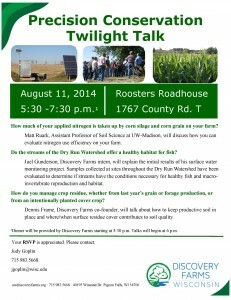 Additional presentations include an update on a Discovery Farms watershed project in Dry Run Watershed and residue and cover crop management to reduce runoff. Check out the flyer here. A dinner is included. The second field day on August 28th is in Westby, WI, where Dr. Ruark will also be presenting on nitrogen use efficiency.